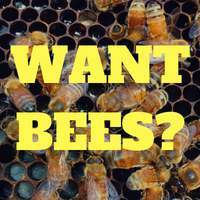 This week we are talking about Bee vandals, Council RatBags and what to do with extra queen cells. 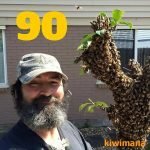 This is Episode Ninety one of our beekeeping podcast. 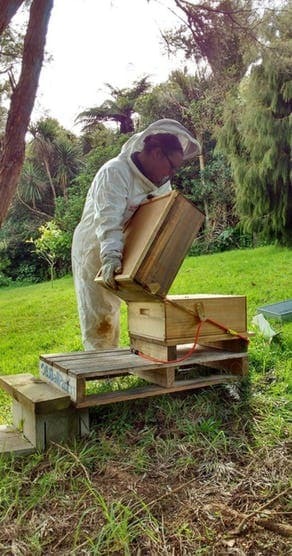 Hi, it’s Gary and Margaret here, We are beekeepers from the hills of the Waitakere Ranges in West Auckland, New Zealand. 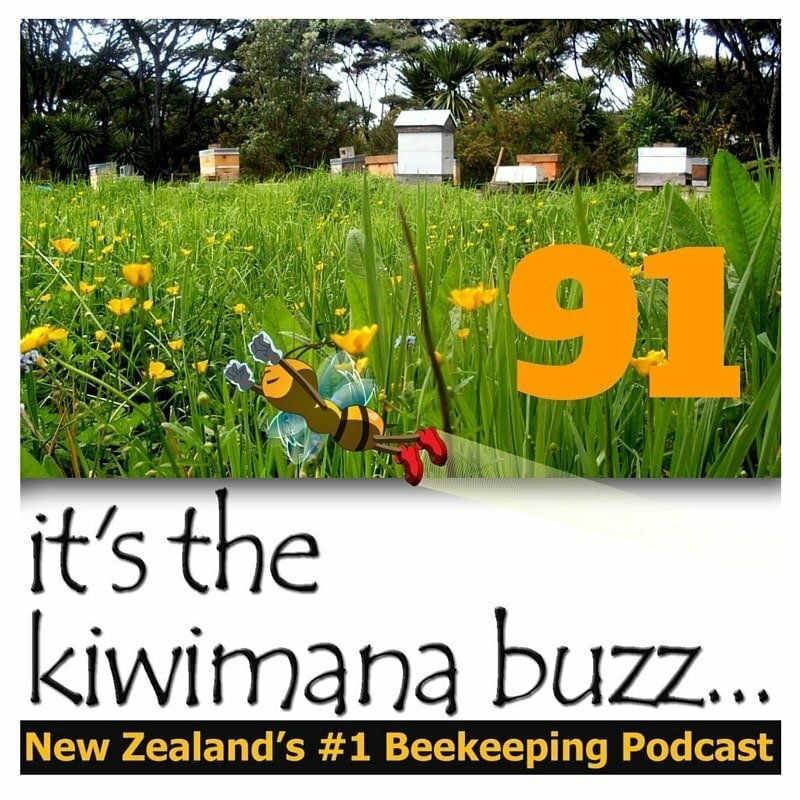 Our podcast is about beekeeping, Gardening and bit of politics about environmental issues. We also have been known to go off on tangents about other issues. Big Shoutout to our listeners in Connecticut in the United States this month. Walking on your hands is really cool, just make sure you don't do it while crossing any streets if you’re in Hartford, CT. It’s illegal. We were featured on Bees You’re the expert, it was a very funny show and a great interview with Dr. Noah Wilson-Rich. Auckland council are destroying the environment for the sake of a few bucks!!! By using Roundup rather than conventional methods of weed removal. 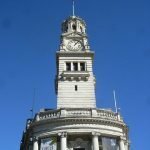 Auckland Council has rejected a move to overturn its controversial use of herbicides to control weeds in parks, playgrounds and streets. 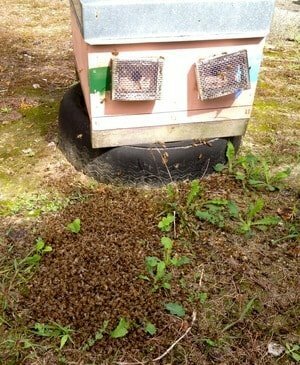 More craziness from up North, 400 Beehives have been murdered, which is believed to have been caused an unknown pesticide. Is this a result of Manuka Madness? We discuss this issue. Why is money more important than Bees? 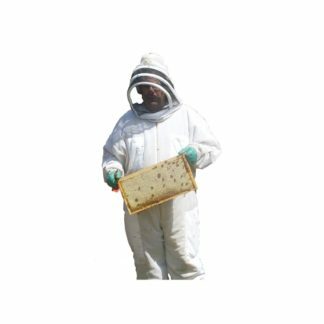 David & Rachel have run Daykel Apiaries for over 30 years and breed queen bees for commercial sale. A Northland beekeeper says 400 of his hives were deliberately poisoned because of competition over manuka honey. At Easter, David Yanke found his bees boiling out of their hives in panic before piling up dead. Lankford Partin – That’s just sad. Christos Basdekis – It is terrible that some poisoned the most useful and lovely insect. I am very sorry and I hope it is the last episode in your country. I send my best wishes. Two Beehives at the Gwent Wildlife Trust were pushed over by Vandals, luckily the Queens survived. But this kind of behaviour has to stop. The two hives at the Ebbw Vale offices of the Gwent Wildlife Trust were tipped over and smashed with large stones and logs. Around two thirds of the bees died after being exposed to the rain and cold, while all their larvae perished. Barbara Sullivan – That’s so sad to hear. 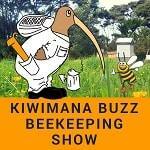 Rita James – What is with people don’t they realise if we don’t have bees we don’t get our food pollinated hence no fruit. Can I fix crystallized honey? Another great post from Rusty from Honey Bee Suite, it does annoy us when people tell us honey has spoilt, only to discover it had crystallized. 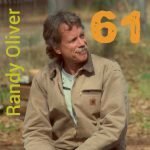 Rusty explains what causes it and what you can do to fix it. Rather than accepting crystallized honey as a unique product, we waste a lot of effort trying to “fix” it. Some consumers actually dispose of solidified honey, believing it “turned” or became unsafe to eat. Nothing could be further from the truth. 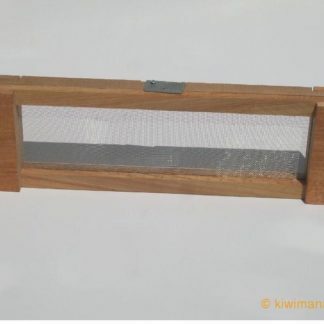 A great post from Rusty from Honey Bee Suite about what to do with Queen cells you find. I agree with Rusty Queen cells are valuable and should be utilised. When beekeepers make splits they frequently destroy all the queen cells except one. 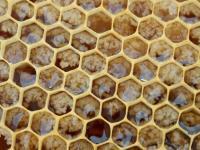 Other beekeepers routinely remove queen cells to prevent swarming. Others simply excise queen cells whenever they see one. 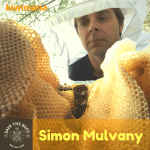 Steve Lawson – Is the answer for backyard hobbyists beekeepers to move the old queen into the new split and leave all the queen cells in the old hive for the bees to work out which is the best queen to survive? A article about is Honey is better than sugar for Diabetics. Does Honey affect the blood sugar levels differently. A traditional mindset exists among many people that honey must not be consumed by people suffering from diabetes. People are aware of the fact that sugar intake is dangerous for diabetics. Keeping that fact in mind they simply believe that honey should never be added to the diet of a diabetic. Just because honey is sweet to taste, it does not mean that honey and refined sugar plays equal role. 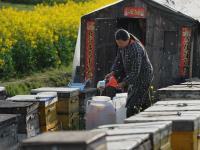 American Honey Packers have been caught buying mislabeled Chinese Honey. The honey was mislabeled to avoid import duties. Imposed in the US in 2008. Another great reason why New Zealand should never import honey. There was bombshell news from the world of honey two weeks ago, and somehow we missed it. Two big honey packers, including one of the largest in the country “Groeb Farms of Onsted, Mich.” admitted buying millions of dollars worth of honey that was falsely labeled. 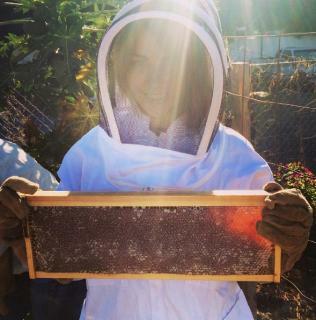 Laura Fogleman Doughty – Know your beekeeper. I know mine! Amanda Jackson-Pierce – I get my honey from the back yard, even in the city it’s possible. 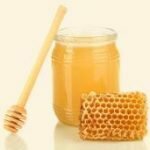 Manpahc Ignaragn – Yes, and it’s not just honey being relabelled. This needs to stop. Rewai Te Kahu – Noooo!!! 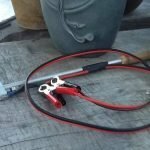 What do you think of Thermosolar Hive? What do you think of this hive? Looks promising, but think it will depend on your environment. Best Treatment for this time of the year? What treatment would you recommend I get into the hives it has been a couple of months since the last treatment….And do you stock it in your shop? We sell two treatments at kiwimana. 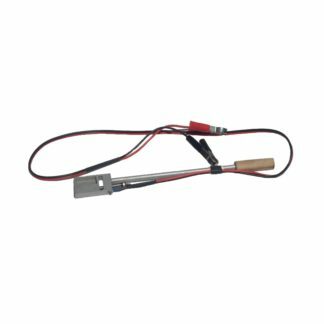 The high in most of New Zealand today was less that 19 C / 66 F, so at this time I wouldn’t recommend it unless your daily temperatures are above 20 C.
So at this time of the year I would recommend a Kiwi Oxalic Acid Vaporizer or some other synthetic that is not dependent on the temperature. 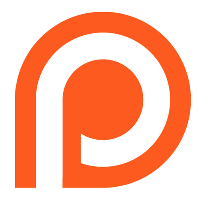 We use https://www.random.org/ to generate a random review. Listen to the show to see if you won this week. You will need to claim your prize before get in touch before 9 June 2016. TopBarGuy – ***** 5 out of 5 stars. Brilliant show! Always interesting. Great topics for beekeepers no matter where they might be located. My name is Brad Scott just to give you a little back ground. I just turned 50 years young in May 2016. I work in industrial refrigeration Maintenance, I've got five kids two have moved out and one brand new grand baby two weeks old. I got interested in bees a little over a year ago. I was on the roof at work and I saw a bee fly by then more and soon I was surrounded by bees flying, the sky was filled with a swarm then just as they started they ended and were gone. I looked up more videos on bee keeping. Pretty soon I was hooked. I don't have much time to read. So I looked for a podcast found one “Long lane Honey Bee Farm” it wasn't bad but they seem to have stopped. I wanted to know more, so I could go out and buy some bees. I went to the local Library and checked out some books on backyard beekeeping. I baited my Swarm traps them with lemon grass oil. Set them out the first of April. 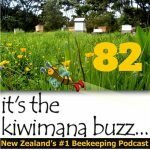 It's about that time I discovered this cool little podcast called “kiwimana”. I'm even more hooked now. I was so excited when I discovered that I had some bees in my box. They were very small, about the size of a baseball. But today I found them building a queen cup. I don't see any eggs or larva. All I see is nectar and some pollen. Two of my other nucs have caught swarms. So I think I'll just put them together. Keep up the good work. I'll be looking for more. Not to mention Mr Dicarpio himself! Really enjoyed this week guys, you have devoted listeners here in Los Angeles! Cheers, guys! and never stop saying absolutely or awesome- ever!!!!! Love the podcast keep it up. It's bananas! I'm a new beekeeper in Brisbane, Australia. Just wondering if you have any podcasts/articles on your bench/long hive I've seen on your Pinterest. Hi Margaret. Thanks for another fabulous podcast. I learn so much! 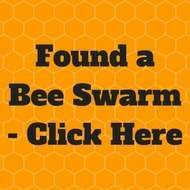 Given your problem with the honey being stolen by bees from other hives, what is the best way to store honey? 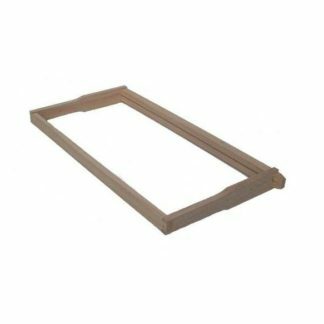 I have a box of half filled frames (partially capped frames) that I have currently got in the freezer (as wax moth started to appear). I don’t want to leave them in the freezer as I need that space to store food for my family!! What is the best way to store them until the bees need them?